Without doubt one of the best Accommodation houses within the Byron Bay region, with beautiful gardens and ambience second to none. Rooms are styled with Grace and Elegance and comfortable furnishings along with first class service to match. We had two magical nights with total relaxation in one of the most stunning settings! So very private and welcoming – Victoria and her staff were so friendly and our room was beautifully presented and private. Whilst we know there were other guests, we felt we had the place to ourselves – wandering around through the beautiful gardens or sitting by the pool. 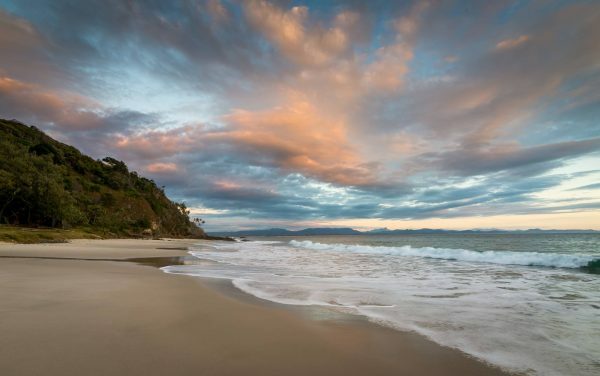 We would highly recommend Victoria’s if you are looking for a private getaway just a few minutes out of Byron. A very welcoming hostess in charming and secluded surrounds, close to some of the NSW north coast’s most beautiful coastline. The accommodation is quaint and romantic, while the breakfast venue serene, adjoining the picturesque gardens. The breakfasts are a feature, superbly presented. Highly recommended for a few days away, maybe for that special celebration. Room Tip: Absolutely gorgeous room so quiet and secluded loved it again..
My husband and I booked through Luxury Escapes for a three night getaway in May. From the moment we arrived we were made to feel special ,relaxed and nurtured in everyway . Anna was there to welcome us upon our arrival and gave us a guided tour to help familiarise us with all that Victorias offered. We chose an upgrade to the vila and were not disappointed. Absolutely stunning decor,location and all the little extras were simply beautiful! Our package included breakfast and afternoon tea everyday and we eagerly awaited these delicious inclusions! The staff are amazing and the level of service was 5 star. I likened Annas local expertise and advise similar to staying at somewhere like the Park Hyatt – we only had to ask and she would deliver !! We actually decided to stay in on our last night and enjoy the beautiful fire in the common area of our villa – and it was set up all ready for us when we returned from our late afternoon dip and sunset walk by Wategos… which is down the road only approximately 200 metres away. If you are looking for something a little more sophisticated and luxurious for your Byron getaway then Victorias is it! We had our car and I would suggest that you would need this as it is a way out of town – but we found this to be an advantage as it was quiet – and nature was right on our doorstep .The lighthouse walk is a must for sunrise and was easily accessed from this end of Byron Bay. We can’t wait to return again soon! Music piped into rooms, soft, white king size beds and a spa bath to relax in. Lots of car parks, gated or next to room. Staff were so friendly and accommodating. There is a communal area from the rooms with a log fire that was perfect for a cold day. Big kitchen area, with everything supplied if you want to cook yourself. But then of course there is a restaurant down the road for dinner and that is worth a visit too.